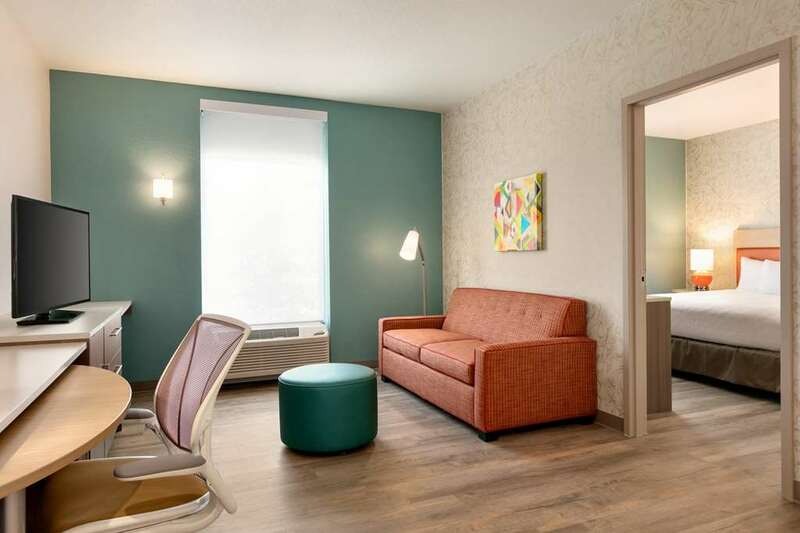 Home2 Suites by Hilton Brandon Tampa is conveniently set off I-75 just 10 minutes from Downtown Tampa and Ybor City. Shop and dine at the Westfield Brandon mall and check out family-friendly attractions such as Topgolf the Florida State Fairgrounds Busch Gardens Tampa Bay and the Florida Aquarium. Perfect for business and family travel our spacious suites are pet-friendly with home comforts like free WiFi a 42-inch HDTV and premium cable. Make the suite yours with moveable furniture to arrange as you like and a working wall* with a rolling desk and ample storage areas. The in-suite kitchen offers a sink dishwasher full-size refrigerator/freezer microwave toaster and plenty of cookware and dishes. Enjoy free breakfast each morning with choices like artisan-style sandwiches hardboiled eggs oatmeal fruit and yogurt with a toppings bar. Our business center and Home2 MKT convenience store are always open and it*s easy to multitask with our unique Spin2 Cycle fitness center/laundry facility. Swim in the indoor pool and spend warm Florida evenings on the patio with grills. We also have a 1 500 sq. ft. meeting room with A/V equipment that accommodates events up to 100 people. Smokey Bones Bar - Fire Grill: Smokehouse - barbecue dishes fill out the menu of this easygoing bar - grill chain. Kobe Japanese Steakhouse: Japanese chain offering hibachi items traditional dishes - sushi.